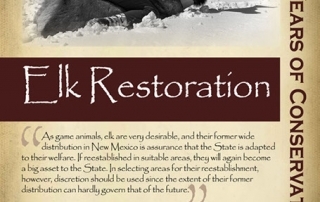 Elk restoration began in New Mexico in 1911, even before the Land of Enchantment became a state. 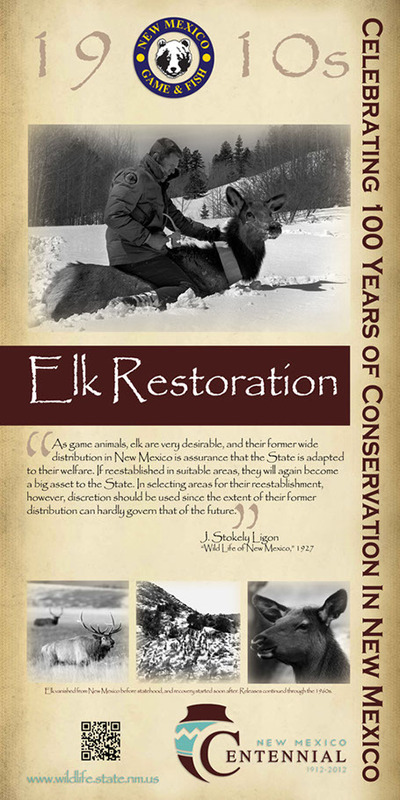 Releases continued through the 1960s, and today the estimated population of elk is approximately 80,000. 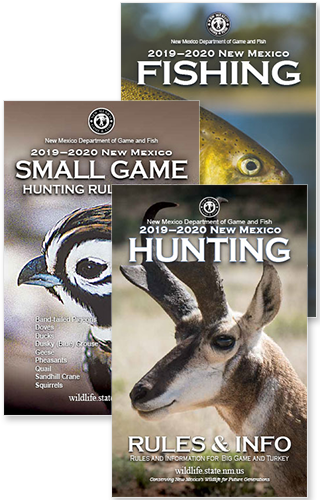 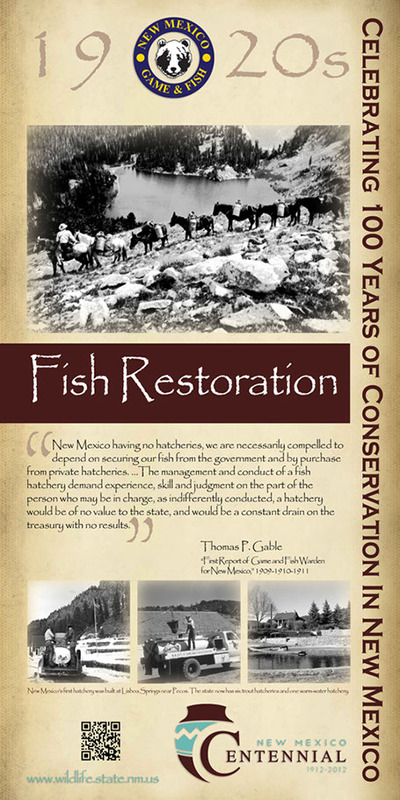 To recognize the achievements of the Department of Game and Fish during the first century of statehood, the Department (with the co-operation of New Mexico State Records and Archives and the Department of Tourism) produced this video entitled “A Century of Conservation” to mark New Mexico’s Centennial 1912-2012. 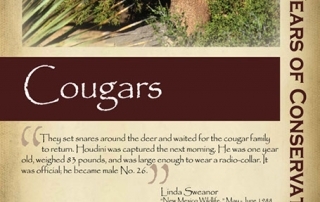 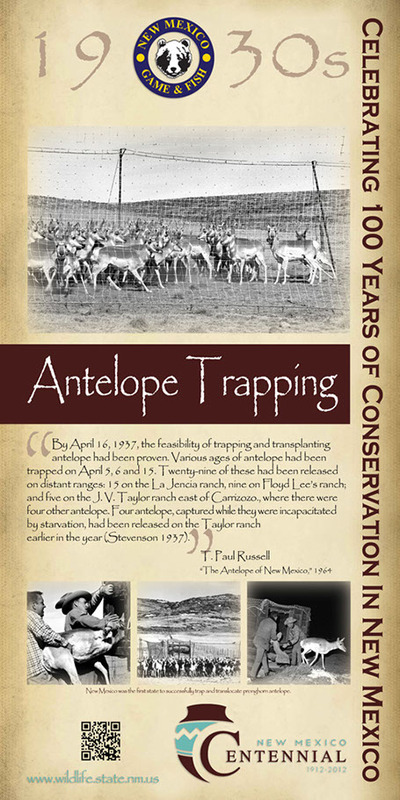 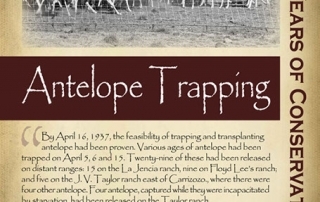 • Becoming the first state to successfully capture and relocate antelope. 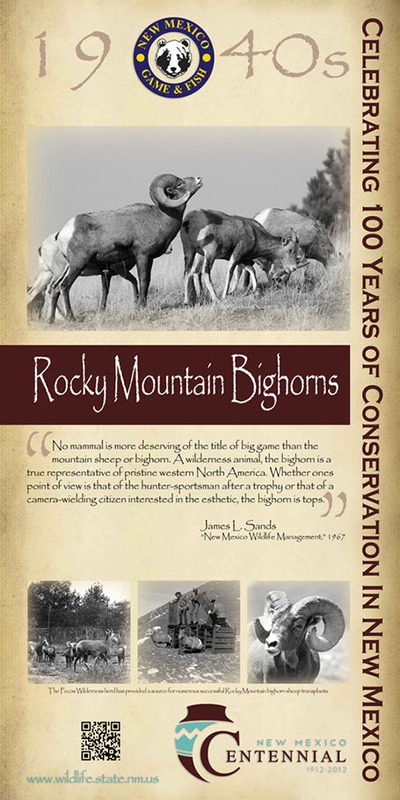 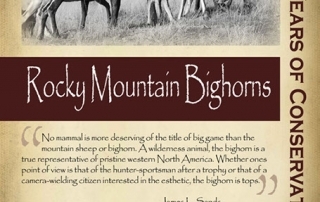 • Restoring Rocky Mountain bighorn sheep to the state. 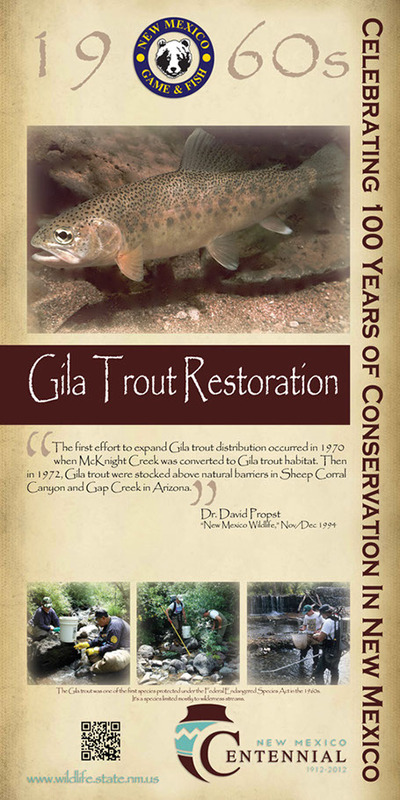 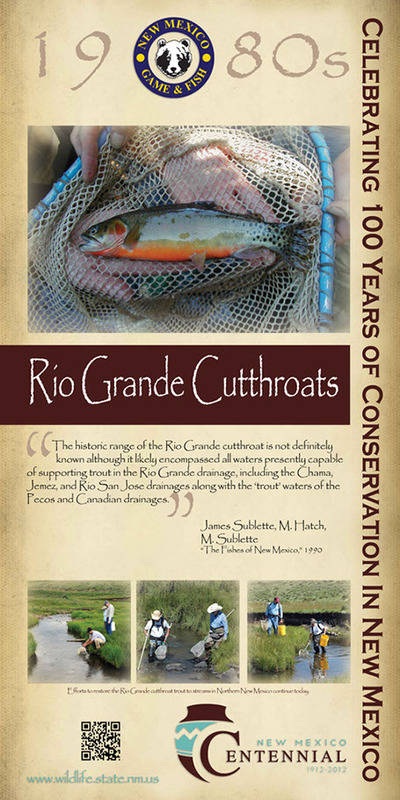 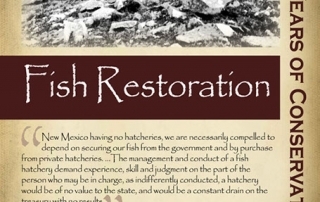 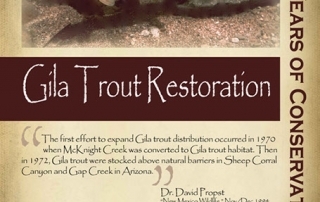 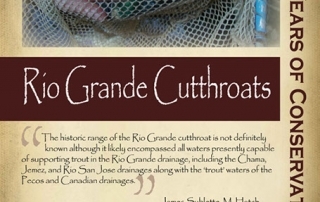 • Decades work to restore populations of Gila & Rio Grande cutthroat trout. 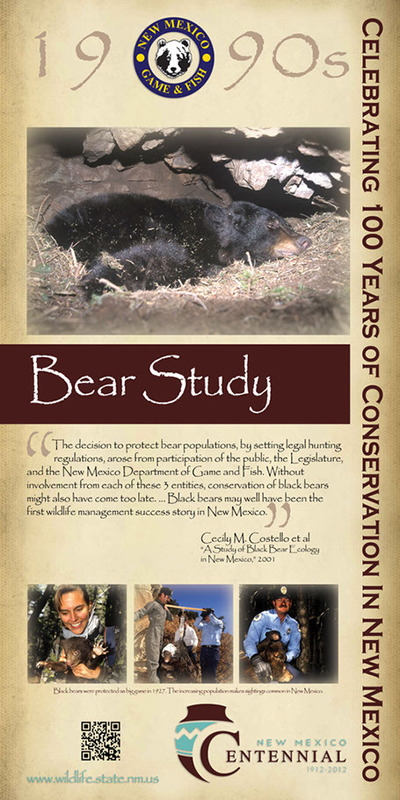 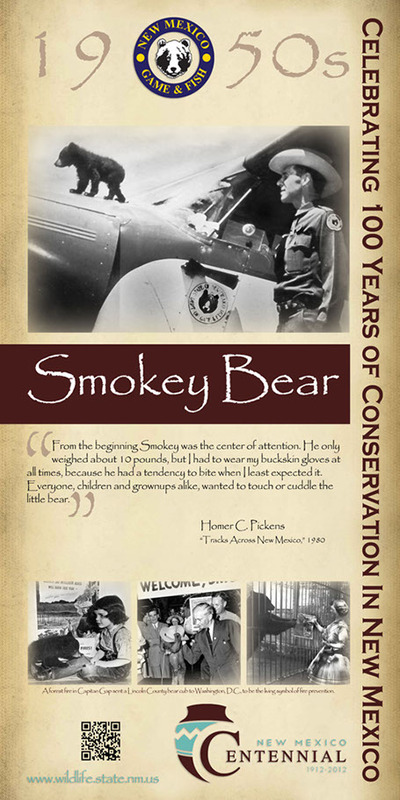 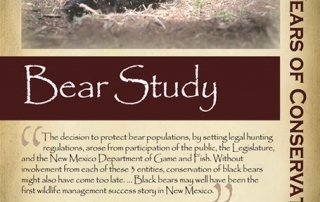 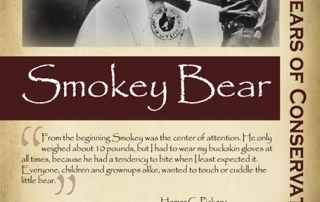 • Protecting black bears and cougar as game animals. 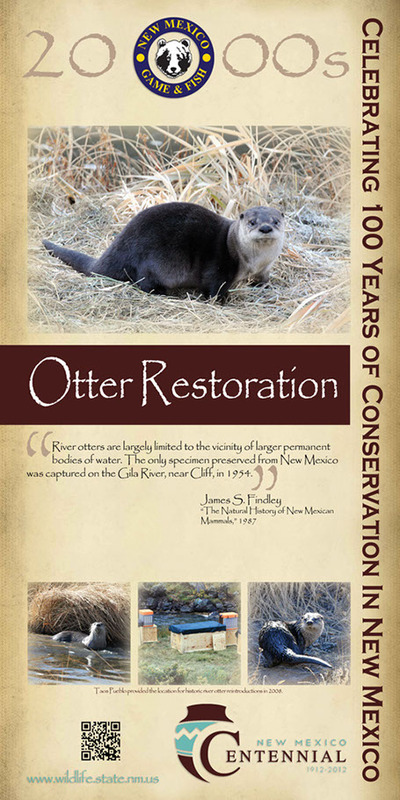 • Restoring otters to the Rio Grande. 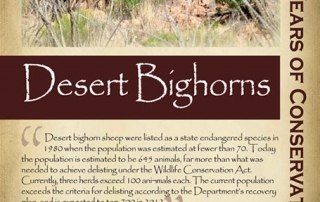 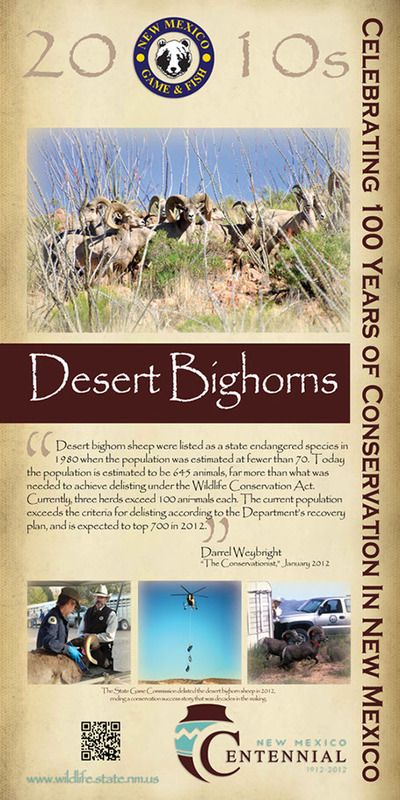 • The successful recovery and delisting of desert bighorn sheep. 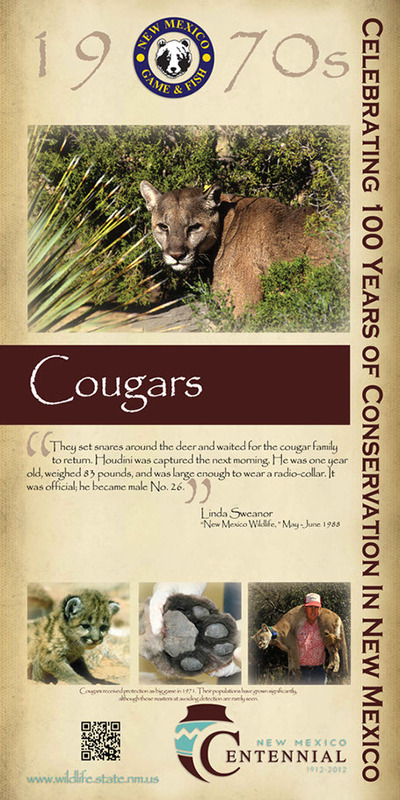 Click an image in the gallery below to see highlights by decade.